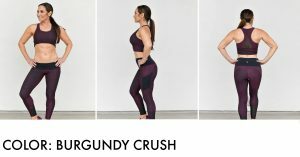 NEW Workout Clothes by Natalie Jill Are HERE! I am so excited to share with you that my brand new workout line is HERE and NOW AVAILABLE! I have seriously LOVED designing the functionality of this line! 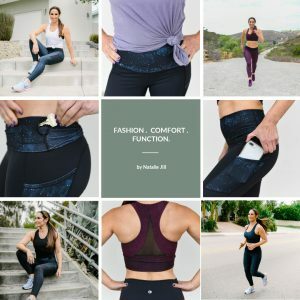 For my workout clothes, I wanted fashion and comfort. Not only that, but I wanted to address the insecurities so many get when it comes to workout clothes! I have a FULL line now available! 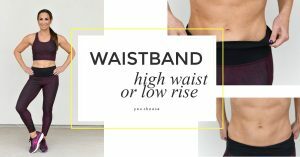 You have the option to either have a thick waistband to hold stuff in on days we want it held in or fold them down to make them low rise so you can still look cute on days where we are feeling a little bit stronger and more toned without needing a new pair of pants! Honestly, I like to wear them BOTH ways, it just depends on the day! Holding a cell phone and a key was a must! 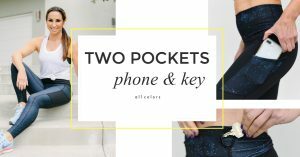 So there are two pockets: one hidden inside the waistband for your key (or cash) and one on the side for a cell phone! Now you can have a totally free handsfree workout. 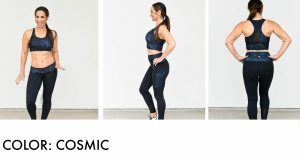 The sports bra top (Breakthrough Bra) inspiration came from wanting something CUTE but with a secure and functional fit. This top provides support, is fashionable, can be changed to be more cropped or longer just by rolling it under…AND did I mention it is super comfortable? It was my mission to design a tank that not only looked flattering but could be tied to the side without losing its shape!